Here at BiophysicsLab along with specialized tools that I have developed at my sister website: http://www.lecturemaker.com , I am committed to the development of online training, and new media publishing. I use cameras lights microphones, screencasting, a wide range of Adobe tools including Photoshop Illustrator Audition After Effects and Premiere , to create audio, animation, music and video. Recently I added Adobe Captivate to my tool set. 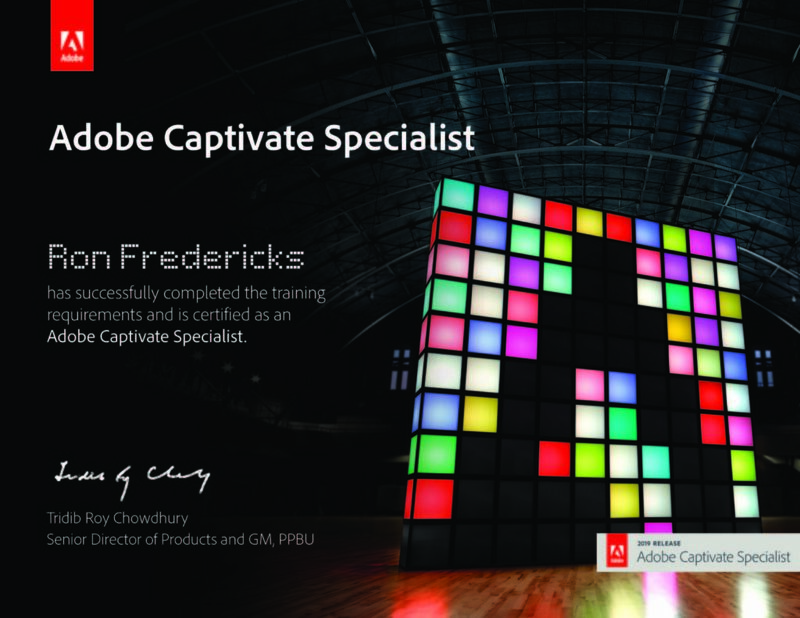 In October of 2018 I passed the proctored exam as an Adobe Captivate specialist in Las Vegas .